The court granted plaintiff's motion to compel defendants to produce communications with the FDA regarding defendants' negotiation of a joint Risk Evaluation and Mitigation Strategy program. "This dispute centers on whether the documents in question 'pertain' to Defendants' ANDAs pursuant to L. Pat. R. 3.6(j) . . . The plain language of L. Pat. R. 3.6(j) requires an ANDA applicant to produce 'a copy of all correspondence between itself and the FDA pertaining to the ANDA application to each party asserting infringement, or set forth the basis of any claim of privilege for such correspondence. . . .' The parties have not submitted any case law interpreting that clause and the Court has not located any through its independent research. . . . All parties agree that the product at the center of this case . . . will be not be sold to the public without a REMS, which is required by the FDA. . . . While those communications do not appear to be directly relevant to the questions of infringement or validity, they certainly pertain to and concern the central issue in these cases: Defendants' ANDAs." The court granted defendants' motion to dismiss, with prejudice, all claims and counterclaims regarding four patents that were no longer at issue after plaintiff was ordered to reduce the number of its asserted claims. "[Plaintiff] had the absolute right to assert a claim in each of the now unasserted patents by reducing the number of claims asserted in other patents, and . . . had the right to increase the number of claims through a motion showing 'that the additional claims present[ed] unique issues.'. . . [Plaintiff] chose neither of these options and now seeks to preserve the unasserted patents and claims for a separate suit. . . . The Court is well within its discretion under the plain reading of the rule to dismiss all unasserted claims and counterclaims with prejudice for two related reasons: (1) Plaintiff failed to prosecute by not seeking to increase the number of claims in a timely fashion under the Court’s permissible due process procedure; and (2) to the extent Plaintiff wanted to assert claims regarding the four (now unasserted) patents, Plaintiff failed to timely comply with the order that directed it to submit a motion to include those additional patents and claims. . . . For [plaintiff] to now claim that due process would be offended by such a result is not persuasive. With an army of resources and lawyers, [plaintiff] clearly could have used the 'efficient and fair' procedure the Court provided to preserve its due process rights." Following jury and bench trials, the court found that plaintiff's network security patent was not invalid for lack of patentable subject matter and found the claims were not directed toward an abstract idea. "Plaintiff contends that contrary to Defendant’s overgeneralization of claim 1 of the [patent-in-suit], claim 1 covers a specific technique of protecting computer networks. . . . The Court finds the claim at issue to be similar to the hypothetical claim in the Patent Office’s guidance. Although Defendant argues and the Court recognizes that the Patent Office’s guidance is not binding, the Court finds its reasoning persuasive. . . . [C]laim 1 of the [patent-in-suit] is directed towards receiving a downloadable, identifying suspicious or malicious code and generating a security profile, and associating the downloadable with the security profile. These steps do not describe an abstract concept as they are directed towards performing steps leading to identifying malicious code to create a new data file containing a security profile. Further, the Patent Office’s hypothetical claim is 'necessarily rooted in computer technology because malicious code or ‘viruses’ have no significance outside the realm of computer technology.' Similarly, claim 1 of the [patent] is also rooted in computer technology as it covers the identification of suspicious code which do not have significance outside the realm of computer technology." The magistrate judge recommended denying without prejudice defendants' motion for judgment on the pleadings that plaintiff's in-store discount patents were invalid for lack of patentable subject matter because defendants did not establish, prior to claim construction, that the claims were directed toward an abstract idea. "Defendants ask the Court to invalidate the asserted claims on the basis that they are directed to the abstract idea of 'offering, tracking, and processing discounts'—a concept Defendants contend is a longstanding commercial practice. . . . [A] review of the asserted claims does not clearly show that they 'recite an abstraction—an idea, having no particular concrete or tangible form.' The discount vehicle claims, for example, include physical structures such as a discount vehicle with information identifying products and their associated discounts, and a select code that can be selectively deactivated as to certain discounts, while remaining active for future use as to others. The data processing system claims recite . . . a data processor connected to memory that is capable of selectively deactivating the select code for redeemed discounts, while leaving the select code active for unused discounts. The presence of these structures counsels away from summarily concluding that the asserted claims are directed to an abstract idea. Consequently, it is impossible to make a final determination before claim construction that the claims are simply 'a drafting effort designed to monopolize [an] abstract idea,' rather than a patent-eligible application of the idea." The court granted defendant's motion for summary judgment that plaintiff's call routing patent was invalid for lack of patentable subject matter and found that the claims lacked an inventive concept. "[The patent-in-suit] does not 'solve a problem of computer networks in a way that is rooted in computer technology.' Indeed, the problem solved has nothing to do with computer networks; the (perceived) problem is having to punch more than ten digits into a telephone in order to make a long distance call. . . . The genius of the [patent] (and it is indeed clever and creative) lies in seeing that you don't have to input additional numbers in order to complete an overseas call, but can instead use a combination of caller ID and call forwarding to route and connect the call without dialing another digit. . . . The claimed invention is literally no more sophisticated than what Jenny the Operator did on Lassie, those many years ago; as defendant argues, any telephone operator given a copy of the lookup table (which is not part of the claimed invention) can route and connect the call. It may not be cost-efficient to do it that way, but it can most certainly be done - and was for many, many years, when we used to dial (or, later, press) 'O,' and someone connected us to the intended recipient of our call. . . . [P]atents are not available for all inspirations of genius, but only for processes, machines, manufactures and combinations of materials." The court denied defendant's motion to dismiss plaintiff's infringement action for lack of personal jurisdiction because plaintiff's employees' purchase of the accused product through Amazon was sufficient to establish jurisdiction. "It is undisputed that two Massachusetts residents purchased [defendant's] allegedly infringing product; that they purchased the product through Amazon.com; and that both individuals were employees of [plaintiff]. . . . At least in the context of interpreting state long-arm statutes, the Federal Circuit has consistently held that a patent infringer is subject to personal jurisdiction where it sells the allegedly infringing product. . . . Taking [plaintiff's] allegations as true, [defendant] offered the allegedly infringing product for sale in Massachusetts, at least two Massachusetts residents purchased the product, and [plaintiff] suffered 'economic loss' in Massachusetts because it 'los[t] business' here. . . . [Defendant] misconstrues the nature of its own activities in Massachusetts by comparing them with the actions of the defendants in the 'manipulative purchase' line of cases. In [those cases], the defendants sold their products only on their own websites; they did not place their products into the national stream of commerce through online retailers." The court granted defendants' renewed motion to stay pending inter partes review after the PTAB instituted review on all claims of the patent-in-suit because the potential simplification of issues and lack of undue prejudice favored a stay. "[W]ere the Court to proceed to trial [in three months], a later USPTO decision could ultimately nullify the Court's judgment. . . . Although the Court would have to reschedule the Rule 16(b) conference and trial date, a stay will still reduce the future burden of litigation since IPR has the possibility of disposing with the entire case. . . . [B]ecause Defendants filed a Motion to Stay pending IPR the same day this Court denied its Motion to Transfer Venue, it appeared as though the stay represented a delaying tactic by Defendants. However, this factor is mitigated strongly by the PTAB's decision to institute IPR on all claims of the [patent], indicating that the PTAB determined Defendants' petition was more likely than not meritorious. . . . Even if Defendants filed their petition as a tool for tactical delay, the Court finds this factor is neutralized by the PTAB's institution of IPR on the merits of Defendants' claims." The court granted defendant's motion for summary judgment that the asserted claims of plaintiff's patent for sharing information among real estate agents and clients were invalid for lack of patentable subject matter and found that the claims were directed to an abstract idea. "[Plaintiff's] patent specification confirms that real estate agents 'conventionally' connect to a database of real estate information 'to locate properties of interest for their clients.' They then contact each client to determine whether the client is interested in any of the resulting properties and whether the client has found any properties of interest from other sources, such as print advertisements or the Internet. Through this interaction, the agent and clients have exchanged information and collaborated in the real estate search process. [Plaintiff's] invention simply places the interaction online. . . . The fact that [plaintiff's] method is performed online—rather than in an office, over the phone, or through email—does not change the Court’s conclusion that Claim 1 is directed to an abstract idea." The Board denied the patent owner's motion for additional discovery regarding whether the petitioner failed to name a real party in interest. "We deny Patent Owner’s request because Patent Owner’s request amounts to no more than a mere allegation of some kind of general association between Petitioner and [named company]. For example, Patent Owner argues that Petitioner has an equity stake in [the company], that counsel for Petitioner allegedly represents [the company], and that publicly available documents supposedly imply a connection between Petitioner and [the company]. The alleged facts presented by Patent Owner during the conference call do not show more than a mere possibility that something useful will be discovered and are therefore insufficient to show beyond mere speculation that discovery would be in the interests of justice." The court denied defendant's motion to dismiss the asserted claims of plaintiff’s multi-player gaming patent for unpatentable subject matter and found that defendant failed to establish that the claims were directed toward an abstract idea. "[T]he [patent-in-suit] is directed to the 'idea of multi-player gaming using a hand-held controller that has a display screen where the players are also in front of a shared display.' Defendant has not pointed to any authority compelling the conclusion that such an idea, which is by definition limited to the field of multi-player gaming and which requires the use of multiple hardware components . . . is 'abstract' within the meaning of Section 101. Moreover, Defendant's argument that Plaintiff 'does not actually explain how any of the components identified by [Defendant] are not generic, let alone why any of those components actually make the claim less abstract under Step One' misreads Supreme Court and Federal Circuit precedent, which make clear that 'recitation of generic computer limitations does not make an otherwise ineligible claim patent-eligible,' but do not broadly hold that courts must 'strip away' each claim element that recites hardware containing computing elements, such as a video game controller, when performing step one of the Alice/Mayo test." The court denied defendant's motion for summary judgment that plaintiffs' image scanning patent was invalid for lack of patentable subject matter and found that the claims were not directed toward a patent-ineligible concept. "[Defendant] argues that 'the [patent-in-suit] is drawn to the idea of extracting digital data at a purportedly improved scan rate by implementing a mathematical relationship on a conventional scanner.' [Plaintiff] responds that the asserted claims are directed to the internal operation of a particular physical device (a scanner), with particular physical components (image sensors and motors), using signals having a particular timing relationship that differs from the prior art. The asserted claims describe steps including determining the parameters (which meet a certain mathematical formula) and applying parameters to operate a scanner. The court concludes that such claims do not claim the mathematical formula nor do they seek to simply 'implement' such a formula, therefore, the claims are not directed to an abstract idea." The court granted defendant's motion for judgment on the pleadings that plaintiff's patent for searching and unifying data was invalid for lack of patentable subject matter and found that the claims lacked an inventive concept. "[P]laintiff’s proffered improvements, i.e., the solutions to 'data overload,' 'costs for organizing data,' 'data permissions,' and 'downstream proliferation of data,' are not 'necessarily rooted in computer technology to overcome a problem specifically arising in the realm of computer networks.' Rather, these are common problems generally associated with large amounts of data, not computer networks. 'Data overload,' which plaintiff describes as 'the proliferation of different data sources' has been around for ages and is a problem that undoubtedly affects noncomputerized data storage." Following the Board's request for additional briefing, the Board found that the petitioner was estopped under Section 325(e)(1) from asserting unpatentability of certain claims under Section 101, but denied the patent owner's request to file a motion to terminate the proceeding based on that estoppel. "[Patent owner] requests 'leave to file a Motion to Terminate CBM2015-00015 and -00016 with respect to claim 1 in light of this estoppel.' We deny [patent owner] authorization to file a motion to terminate these cases with respect to these claims. Section 325(e)(1) speaks to actions that may not be undertaken by Petitioner (or its real party in interest or privy) – '[t]he Petitioner . . . may not request or maintain a proceeding before the Office'. The statutory provision, however, does not proscribe actions that we may take. . . . There is a public interest in resolving the issues raised by these challenges because the record is fully developed. Moreover, we are making determinations in related cases involving similar issues and argument. Administrative resources will be conserved by resolving all the similar issues at once." The court granted defendant's motion to exclude the testimony of plaintiff's damages expert regarding transition damages as unreliable. "[Plaintiff's expert] asserts Plaintiff rolled out 'the Everbilt private label dryer venting and air distribution products for Home Depot' in 2014 and the cost for this transition included 'an inventory buy-back cost of about $1,114,000.' [Plaintiff's expert] concludes that 'but for [defendant's] infringing competition, [plaintiff] would have been able to manage its [product] launch in a way that would have avoided the inventory buy-back cost.' However, Plaintiff must establish why damages are legally available. Here, Plaintiff cites no legal authority under which it is entitled to 'transition damages.'" Following an advisory jury trial to answer underlying factual questions, the court found that Amazon did not offer to sell the accused products via its website and was not liable for infringement. "[T]his Court is not aware of any Federal Circuit case directly addressing the central issue before this Court – that is, who made the alleged 'offer to sell.'. . . [T]he Court can only conclude that Amazon did not offer to sell the alleged infringing products because there was no manifestation of the willingness of Amazon to enter into a bargain, so made as to justify another person in understanding that his assent to that bargain is invited and will conclude it. However, the Court is troubled by its conclusion and the impact it may have on the many small retail sellers in circumstances similar to the Plaintiffs. There is no doubt that we now live in a time where the law lags behind technology. This case illustrates that point. . . . Amazon enables and fosters a market place reaching millions of customers, where anyone can sell anything, while at the same time taking little responsibility for 'offering to sell' or 'selling' the products. Indeed, under the current case law, Amazon has been able to disavow itself from any responsibility for 'offering to sell' the products at all. . . . [T]he purpose of 'adding "offer [ ] to sell" to section 271(a) was to prevent . . . generating interest in a potential infringing product to the commercial detriment of the rightful patentee.' In this instance, the Court is not convinced that such purpose has been fulfilled. However, that is a subject which must be addressed to Congress and not the courts." The court denied defendants' motion for attorney fees under 35 U.S.C. § 285 after plaintiff voluntarily dismissed its action following the PTAB's invalidation of its patent during a CBM review because plaintiff's litigation positions were not exceptional. "Although Defendants attempt to characterize the [patent-in-suit] as facially unpatentable by viewing later-issued decisions by the PTAB in [the first CBM proceeding] in an ex ante light, it is far from clear that each of the claims of the [patent] fails to recite patent-eligible subject matter, either before or after Alice, Ultramercial, and other decisions cited by Defendants. . . . Defendants have provided little support for their suggestion that Plaintiff's refusal to 'back down' and not contest [defendants'] multiple requests to the PTAB warrants a finding of 'exceptionality.' Defendants' arguments, when taken to their logical conclusion, would appear to require that any plaintiff asserting a patent 'similar to' patents found unpatentable under Section 101 in a separate case voluntarily dismiss with prejudice their infringement claims — or perhaps even forfeit their patents altogether — or face the risk of an attorneys' fee award pursuant to Section 285. The contours of Section 101 have proven difficult to apply in practice both before and after Alice, and the Court declines the opportunity to read Section 285 so broadly as to impose such a harsh and unfeasible fee-shifting rule on patent owners." The court denied plaintiff's motion to reconsider an earlier order excluding the testimony of plaintiff's damages expert and rejected plaintiff's argument that there was clear error or manifest injustice. "[Plaintiff's] primary contention is that the cost impact approach utilized by the excluded expert involves a 'reliable damages methodology.' 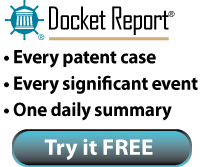 And, indeed, on this point and to that extent, they are correct. . . . [Plaintiff's expert] analyzes the ex-post value of the patent by considering the inventory that [defendant] acquired after infringement began. Essentially, his analysis considers the value of the inventory that [defendant] would be left holding, but unable to sell, because of the patent enforcement -- and as such, the amount that [defendant] would be willing to pay for a license so that it is able to sell this acquired inventory. Herein lies the problem. [Plaintiff's expert] values this inventory in terms of whole product units, rather than the patented component features. While this makes general sense as part of an ex-post valuation, it does not adequately isolate the value of the patented feature itself." The court granted in part defendant's motion to disqualify plaintiff's counsel who served as both prosecution counsel and litigation counsel and barred counsel from resuming service as prosecution counsel for a year following the conclusion of the case. "[Plaintiff's] removal of [its counsel] as its patent prosecutor appears to resolve [defendant's] arguments that [counsel] should be disqualified as counsel in this case due to his access to [defendant's] trade secrets in this case. . . . [A]s [counsel] is no longer prosecuting patents for [plaintiff], barring him from viewing confidential information and trade secrets disclosed by [defendant] would not be appropriate. It is appropriate, however, to bar [plaintiff] or its successor from reinstating [counsel] – for a period of one year after the final resolution of this case, including appeals – as its patent prosecutor in patent applications that claim priority to the patent in suit here."